I first wrote about the Giggling Guiri back in March. I’d just been to see Howard Marks and had seen Steve Hughes previous to that. Well shortly it’s their last show of the season and if you haven’t been to one of their Barcelona comedy events then I urge you to do so. Tom Stade is in town for their season-ending show and by all accounts he is worth seeing. And apparently the girls like him though I can’t see it myself. Tom Stade is playing at 131 Fahrenheit which is great for comedy nights. It’s very intimate and the acts are pratically amongst the audience. And it has a pretty long bar which is always a plus in my opinion. English Barcelona comedy events are few and far between, in fact this is the only one I know about, and a good night of chortling definitely comes highly recommended. So get yourselves down there! 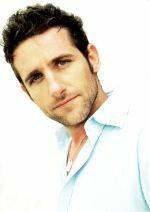 Tom Stade is at 131 Fahrenheit (c/ Aribau, 131 – M: Diagonal) on Saturday 4th June at 8.30pm (Doors 8pm). Tickets are €17. You can buy tickets online or from Hibernian Books (c/ Montseny, 17 – M: Fontana – Tel: 932 174 796) or A Taste Of Home (c/ Floridablanca – M: San Antoni – Tel: 933 251 797).